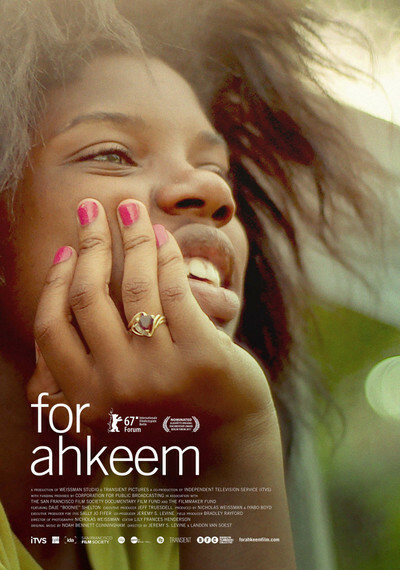 “For Ahkeem” is the concise, heartfelt work of documentarians Jeremy S. Levine and Landon Van Soest, but tells its very intimate story as if it were the cinematic diary made by its center focus, a 17-year-old black American named Daje “Boonie” Shelton. Created through endless footage and expert, unobtrusive on-the-fly photography, the documentary captures her experience as a young black American from a struggling St. Louis neighborhood, who has recently been assigned by a judge to a court-supervised high school for delinquent teens. About midway into the film, she and her boyfriend Antonio have a son named Ahkeem. A lot is going on in Daje’s life, in which her pursuit of a GED is just one of many anxieties. And we understand very quickly that her experience is not that different from her peers—failing to focus on studies, getting caught between influences good and bad, wondering how long they’ll live in this environment. But in between the documentary’s passages, her contemplative voiceovers are journal entries. “For Ahkeem” is about as close as documentaries come to putting us inside the mind of someone who society easily overlooks. There is a fascinating impulsiveness to the production of this story, especially as it essentially drops viewers into the world of Daje, and then has us follow her for months. When we first meet her on the day she’s assigned to ICA, she is both a specific case and also a universal example of the other Dajes out in the world. For the filmmakers, there seems to be no other plan other than following this student, within this unique school, and seeing where it goes. It’s the non-flashiness of this dedication, with no guarantees of success or even narrative structure, that make this movie resonate even deeper as a slice of life. Antonio gets some of his own focus, as both a part of Daje’s life but another example of someone in the same neighborhood unsure of what is ahead of them. He drops out of ICA soon into the film and is captured in completely candid moments talking about getting a job in construction for his kid, building a house of his own. As we get to know him more, he's always talking about what he’s going to do, but he doesn't do it. His life becomes a contrast that reveals even more the power of Daje as she pulls herself together in more way than one: it’s all about talk vs. action, the movement towards goals as opposed to just seeing them in the distance. As “For Ahkeem” so deeply puts into the feelings of Daje and Antonio, the influence of older authority figures is highlighted. The dichotomy is heartbreaking and revealing—members of the older generation who come from the same place, and are at the school or in the neighborhood, reach out to them as fellow human beings. “Trust and believe, we gonna make it,” a woman who serves lunch tells Daje, before telling her to walk like a queen. Sometimes they provide Daje second or even third chances when she screws up. But the documentary captures how people in this community are also treated like statistics, as in a very low-key, sobering climax when Antonio is shown waiting in line to meet with a judge. The meeting happens in an open hall, filled with people, where life-changing decisions are doled out with the speediness of an assembly line.